Phillip Andrew Deckard, our beloved husband, father, son, brother, nephew, cousin and friend, passed away on Sept. 12 at his home in Bellevue, Idaho. He will be greatly missed by all who knew him. 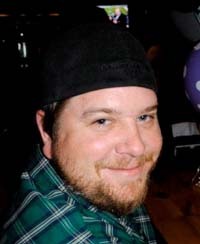 Phil was born on Oct. 31, 1981, in Hailey, Idaho, to Ellen Orchard and Danny Deckard. He lived in the valley his entirely too short life except for the two years that he spent working in Chico, Calif. While there, he loved to ride his skateboard around with his bud, Rosie, at his side. Cooking was a passion for Phil. He was a chef at Mahoney’s, Zou 75 and Full Moon, to name just a few. He loved jumping into the water at the head gates in Bellevue, walking around town with Rosie, skiing Baldy, fishing with his brothers, bowling with his friends and singing karaoke with his wife. Though he was not with us long, he lived his life to the fullest. He married Dena Brunker, the love of his life, on June 30, 2007. He welcomed her daughter, Morgan, with open arms. Phil’s zest for life, the outdoors, his family and friends could be seen by all. His happy-go-lucky attitude and well-known smile were his trademarks. Phil leaves behind his wife, Dena; stepdaughter, Morgan; mom, Ellen Orchard (Monte) and dad, Danny (Judy); brothers, Tim (Heather), Jesse (Laura), Dave (Jacki) and Nate (Kelsey); two nieces, Elle and Sunnie, and two nephews, Zane and Arrien; as well as numerous aunts, uncles and cousins. A celebration of Phil’s life will be held Wednesday, Sept. 19, at 4 p.m. at the Bellevue Park. In lieu of flowers, donations can be made to your favorite charity or to Mountain West Bank, Phil Deckard Memorial Fund. Phil, you will be greatly missed. We love you very much.